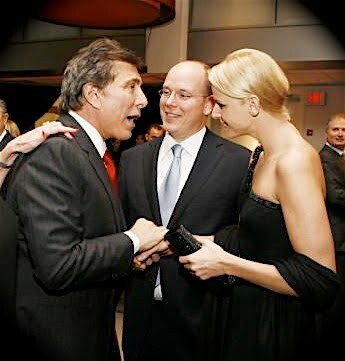 Prince Albert II of Monaco has bestowed Monegasque nationality to Las Vegas casino operator Stephen WYNN. A pre-condition of Monegasque citizenship is that any new subject renounce foreign nationality. This means, unless an exception has been made, WYNN has renounced his U.S. citizenship. If WYNN has done so, he will no longer pay income tax on his enormous earnings from gambling in Las Vegas. Oddly, WYNN never resided in Monaco. Oddly, WYNN made no public announcement of his new nationality; there has been no news of it, even in Las Vegas, where WYNN is an icon. 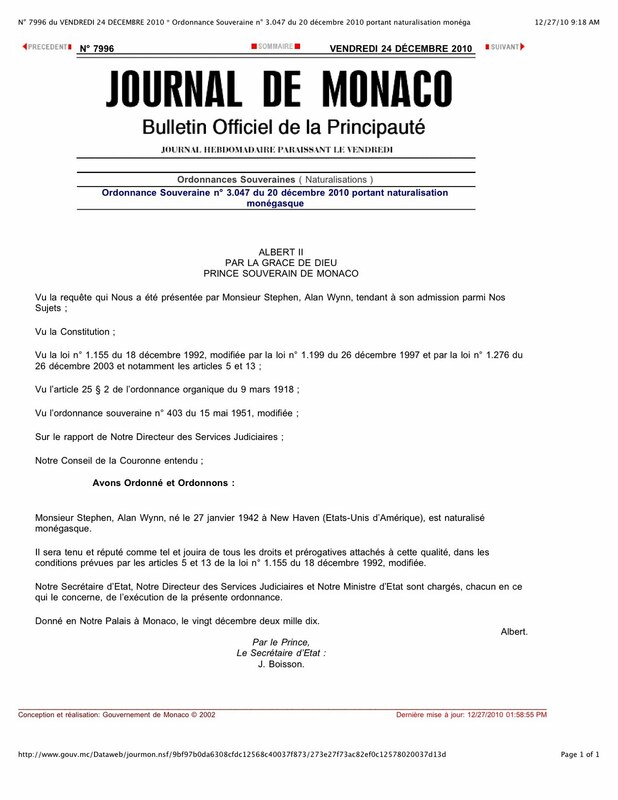 It is as if this was meant to be a hush-hush conversion (just before Christmas), betrayed by publication--as required by Monegasque law--in the official Journal de Monaco. As Monaco's spymaster, Robert ERINGER became aware of people paying large sums of money in exchange for citizenship. Has money changed hands in WYNN's case?